Get ready for some serious back and forth as the sun in Aries squares Pluto in Capricorn today. The Aries sun wants to go, go, go. It wants to break all habits and defiantly move forward. Meanwhile, Pluto in Capricorn, who is slowing down now in preparation for his retrograde cycle, wants to dig in the mud for clues to how we arrived here. It’s kind of like the plot of the film, Memento, one part of us forges ahead while another tries to solve the mystery. We have a few more days of Mercury retrograde, also in Aries. This is a time of processing and absorbing crucial information for our future on this planet. So much of what is coming up now relates to themes of legacy, ancestry, heritage, and the impacts that our current society has on our well-being and sense of self. There is a lot coming up about how we were raised, what choices we were given, and the idea of nature versus nurture. This is important work on both a personal and global level. Black obsidian is our ally this week. Obsidian is a form of volcanic glass created deep in the earth when Plutonic underworld forces meet with fiery above-ground energies. This stone was made into traditional ritual items used all over the world: polished black mirrors or sharp-edged knives being two popular iterations. These two modes of use (to enhance clarity of vision and to cut away) give us some hints as to how we might utilize this very potent energy. 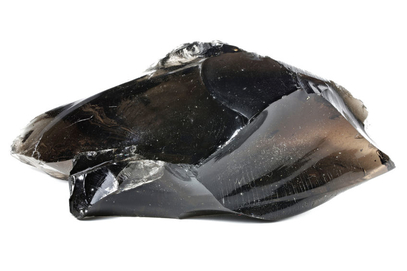 Try meditating with obsidian to discover what you might need to cut out of your patterns. But, be careful! Obsidian can be very sharp.